Cost wise it is a no-brainer against the cost of most Protein powders I made one today and it was nice. 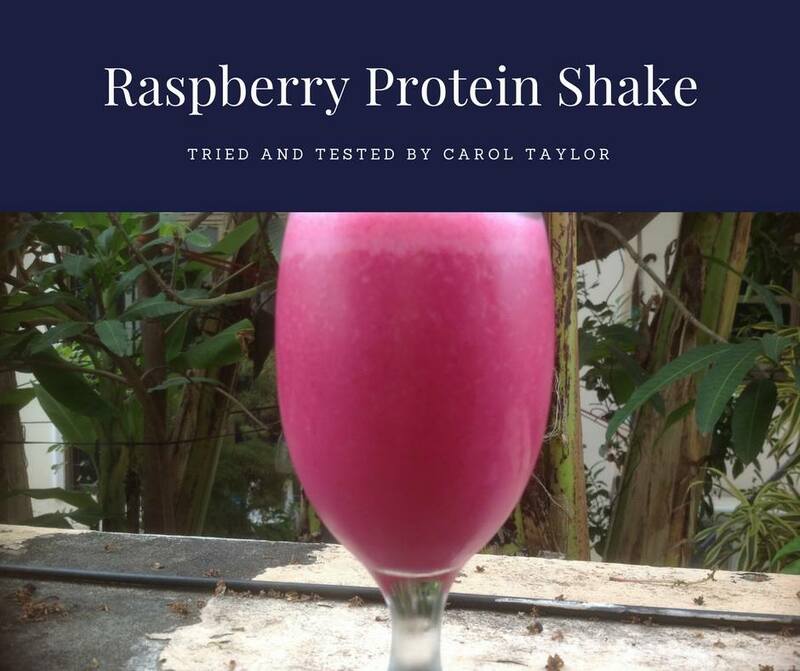 It tasted good, my son was my guinea pig/taste tester and has been a protein drink customer in the past and it got the thumbs up from him. Greek yogurt, Silken tofu, nut butter i.e raw cashews (which) require soaking overnight to soften. Today I made a Raspberry Protein shake and for an extra boost could have used chia seeds. Measure all the ingredients into your blender and blitz away. The color was amazing, a beautiful color and it tasted very nice not too sweet and I did add honey. Having never had a protein drink, so I do not know what they taste like, although I have listened to others who say well they don’t taste great although I drink them anyway, really! I like to drink something which tastes pleasant. Enjoy!